Despite a lot of previously failed attempts, Roz decided to follow the steps of many others from her church and allow Dr. Kerendian to help her achieve her goal weight. Upon a complete workup and evaluation including a blueprint test of her body, Dr. Kerendian tailored an affective plan for her which allowed her to lose faster and more efficiently than anything in her past. She attributes this to the treatment of her core issues on a medical level. 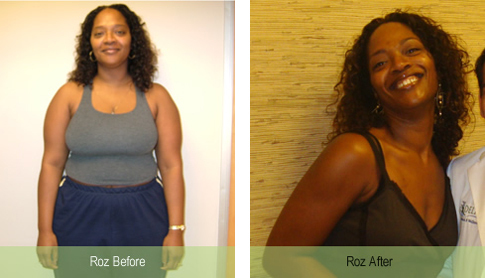 Roz alleviated a lot of her physical pain and medical problems in a very short amont of time. Furthermore, she has maintained her weight loss for the last 4.5 years because of affective maintenance plans set forth by Delight Medical.